I received this cartridge and I am now going to experiment with it and see what fun things I can make with this cartridge. With Christmas coming soon I'm sure I can have so much fun with this one. Make great little treat boxes for all the goodies I have baking in my kitchen. I'll be lucky if some of them make it to the boxes. 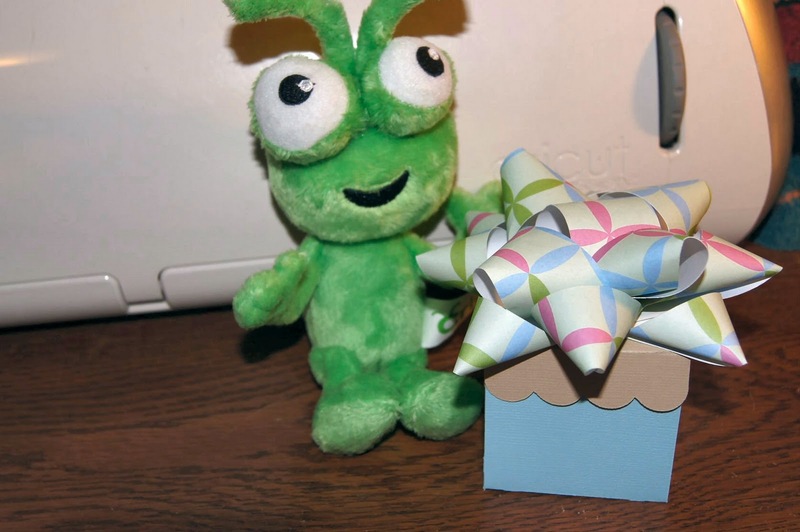 Here is a photo of the items that you can make with this wonderful Cricut cartridge. Cut box from page 21; the cube box at 7" then the coordinating lid as well. 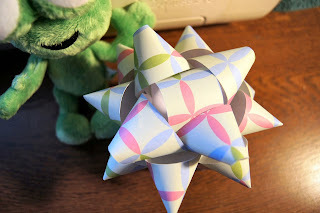 Use your bone folder to score your lines for folding then apply your adhesive to create your box. Then do the same for your lid. I then wanted to make it appear as a Christmas box as this is a gift for my neighbor. I then used scrap pieces of my scrapbook paper to appear as the ribbon around the box. I cut these at 1.25". I then cut my bow at and topped the box. I know the box may appear as small, but she doesn't like a lot of sweets around so this is perfect size for her. I thought I'd put a special little treat in there for my sweet neighbor Bobbi. She's a wonderful neighbor. We've become great friends from when we first moved into our home. She and I talked and she knew my Grandparents as well. They not only built my home (which was their's first), but they also built hers with the help of other family members and some contractors that my Grandparents hired. We'd stop by Dunkin' Donuts and pick up a Chai for each of us then we'd sit at her picnic table and chat. Love the visits. Now that it's cooler weather we still get together when we can to chat, but we're inside instead of out on the picnic bench. That's put away for the winter. This spring and summer we'll probably sit on the bench that my favorite Uncle made. I love that bench!! I've enjoyed it so much this season. Now that it's gotten colder I don't get to sit out much.